What could be more fun than tackling a dog costume? 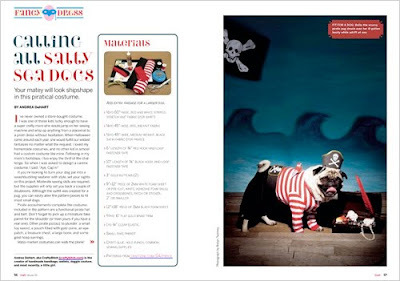 When approached by CRAFT Magazine to design a canine costume, I immediately envisioned a Pug Pirate, complete with knickers and a parrot on the shoulder. Short of an eye patch and peg leg, this buckaneer was a real salty dog. 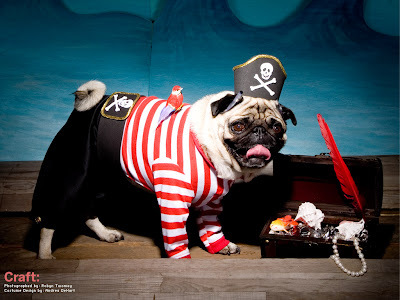 Download the pattern to make your own Pug Pirate Costume! Be sure to head to Craftzine.com to download free wallpaper of the pirate pug!